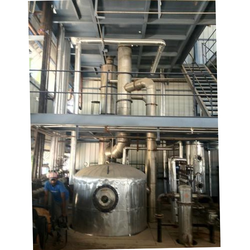 We provide efficient Edible Oil Bleaching Plant with highly efficient Blades and energy efficient agitators. Our Bleaching vessels are well designed to reduce bleaching earth consumption. We also Manufacture highly efficient Pressure leaf filters for filtration of Bleached Oil to give fine sparkling final Oil. We also supply highly efficient Steam Bleachers for Palm Oil Bleaching. 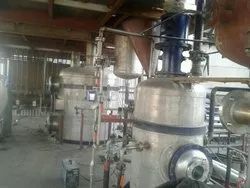 We have supplied Edible Oil Bleaching Technology Plant in Nepal and USA of different sizes for various applications. The quality of each and every piece of equipment is assured at our manufacturing shops to deliver world class equipment. The bleaching process is carried out to remove colour pigments, residual phosphatides, metals, soaps and oxidation products. To achieve this we carry out bleaching earth and activated carbon bleaching process in two stages in a continuous manner. In the first stage, oil is heated at 100-110 Â°C and mixed with bleaching earth and kept at a suitable temperature and mixed with mild agitation by specially designed turbine blades agitator system under vacuum. Oil is sprayed through specially designed nozzles & mixed with bleaching earth and sufficient retention time is given to attain maximum possible bleaching of oil. By spraying oil moisture is removed in the vessel itself. 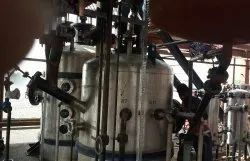 In the second stage, oil slurry is pumped to a set of vertical pressure leaf filters where two filters are used alternatively to remove oil from bleaching earth and cake is discharged through bottom actuated butterfly valve. After filtration oil is circulated through candle type polish filters to further polish the oil & remove any traces of particles. High reduction in color by an efficient process. 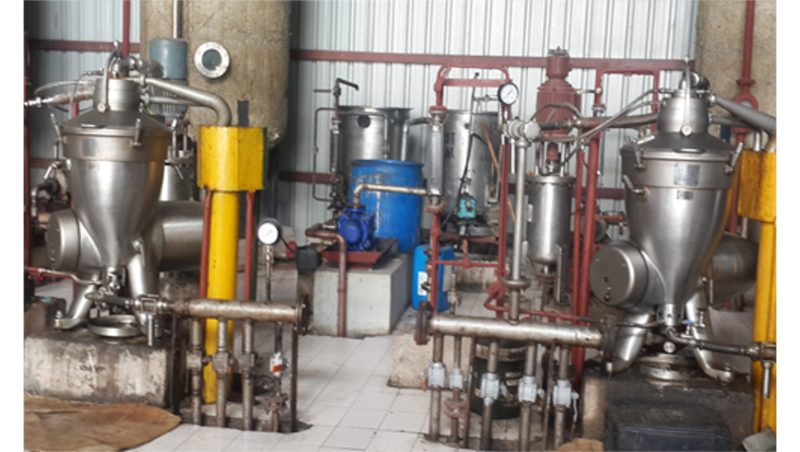 We provide our customers with a wide range of specialized Edible Oil Bleaching Section Plant. These high efficiencies and performance oriented sections are widely used by our customers for deodorizing of neutralized oils as well as for stripping and deodorizing high FFA oils for physical refining. These are designed and manufactured as per latest technologies and are in compliance with various standards & norms.